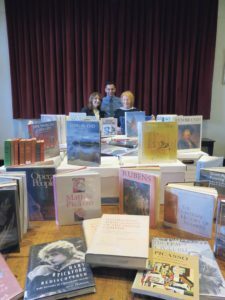 Three of us had our photograph taken recently at Great Neck House in the company of books. There were books on display on top of file boxes full of more books. It was an understated event, though in the history of a small community such as ours it was remarkable. I posed, smiling, with the fairly new superintendent of the Great Neck Park District and the new director of the Great Neck Library. That photograph was years in the making. It had its genesis in 2011, when the then-library director rented a dumpster, placed it to the side of the front entrance of our library on Bayview Avenue, and filled it with part of the library’s collection of respected periodicals, many of them in bound volumes and dating back half a century. Some titles were visible, the ones on the top layer across the length and width of the dumpster. A few residents took photographs. I wrote a letter to our local newspapers. The dumpster disappeared. We learned later that some issues of the magazines were not available even online and that this was not the only dumpster. The publications in that dumpster covered many subjects, such as architecture, literature, politics, psychology and education. Had the library offered these magazines to the residents, we would have showed up. Instead, their wisdom was rained on. The words were smeared into sludge to be carted away. A decision had been reached to treat society’s thinking as trash. The discarding of the periodical collection in 2011 was the harbinger of things to come. The library was about to throw away millions of dollars of its book holdings and betray its standing and its legacy here in Great Neck. In 2014, four dumpsters were filled and taken away. Trucks came and went and we never knew. Behind our back and without soliciting our opinion or our consent, the library board embarked on designing a library emptied of significance and meaning. That was the year the library closed for two years for renovation. A series of directors, at the behest of the trustees (documented in library board minutes) commenced a serial process of discarding books. The unofficial tally, gathered from board minutes, is 208,000 books discarded in a condensed period of time, 2014 to 2016. In public meetings, the library board referred to the discards as “weeding.” All libraries weed their garden of books that have ripped pages, broken spines and out-of-date science. Librarians do weed, but starting in 2014 librarians were instructed to “weed” books by percentages (not by book condition or relevance): in the first round, 40 percent in each department of the library; in the second round, 20 percent. As the collection thinned, the librarians faced impossible choices between this book and that book. In 2014 through 2016, the discarding was continuous. Staff members deleted our books, one by one, from the computer system. What remained was called the core collection, and it went into storage. It included, for example, irreplaceable books from the early 1900s and oversize art books. 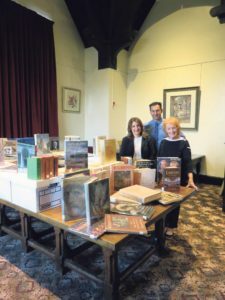 The core collection was sacrosanct when it went into storage, but, in the months prior to the scheduled reopening of the library, the trustees learned the books coming out of storage would outrun the shelves. By design, in comparison to the old library interior, the new library would have only half the running feet of shelving and the shelves would be low in order to provide library patrons an unobstructed view of Udall’s Mill Pond. The choice was more shelving or even fewer books. Our library’s internal wealth lost a competition with the scenery. The board instructed the director to slice into the core. The formal reopening, scheduled for November 2016 and billed as a Gala, was fast approaching. This time, the staff was handed printouts to work from, not the actual books. Each volume was to receive a D, K or B. 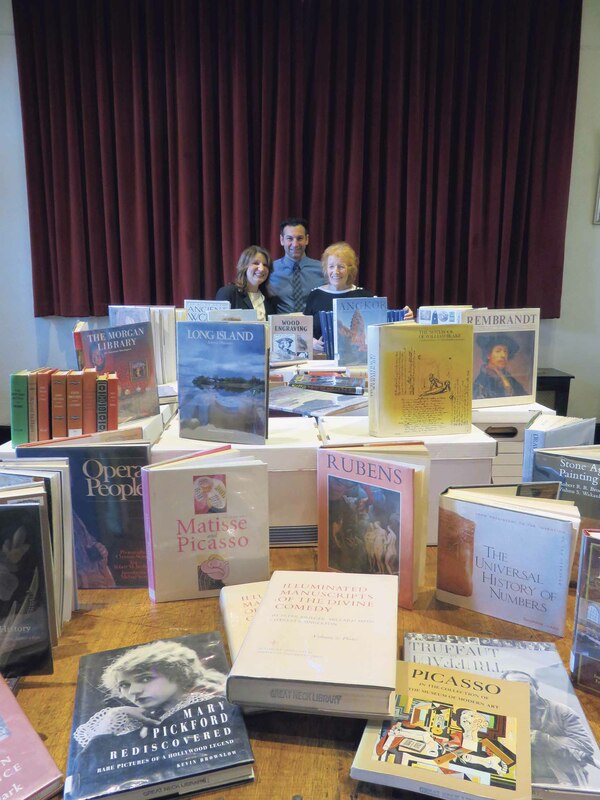 The staff, rushed and blind, ended up discarding first editions and books signed by the authors. I received a phone call on Oct. 18, 2016, telling me it was imperative I attend a library Relocation Committee meeting that evening. At the meeting, on a handout with squares for the days of the month, the word “weeding” repeated itself. The trustees were amused. “Will you put the books on your front porch, Rebecca?” The following morning the new assistant director phoned me: “Mrs. Gilliar, we have 25 cartons ready for you to pick up.” She was in step with her director. I assumed I had taken ownership of maybe 1,000 books, but the number would be a breathtaking 18,000. I had caught the last wave of discards from what had been in storage. My inclination would have been to warehouse the books until they could be returned to the library under new management, but that was unworkable, so I pursued my first-choice option. 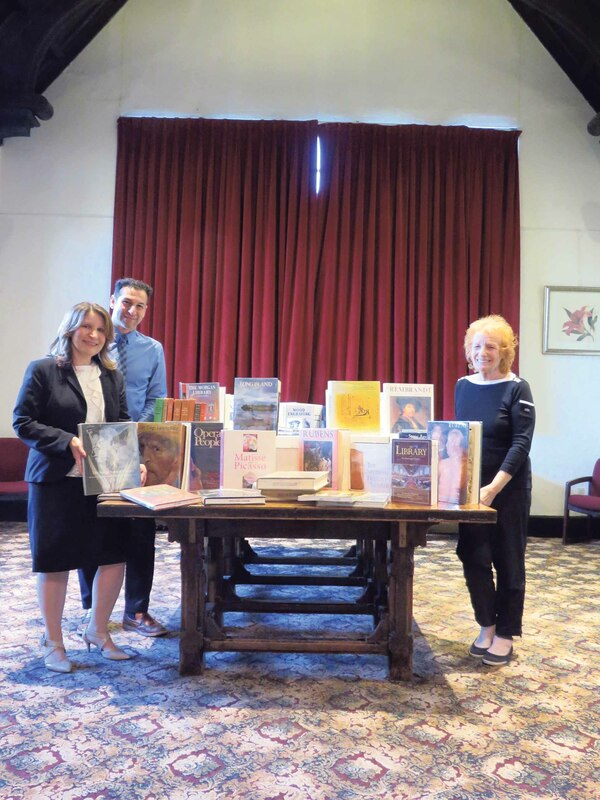 I went to see Jason Marra, superintendent of our Great Neck Park District, and asked his permission to use Great Neck House, which was our library until 1970, to give the books to my fellow residents. Without reservation, Jason saw this as a community service and comprehended the urgency. The then-library director refused me any help moving the heavy cartons from the center of the library out the front door or down to the rear door saying she had the Gala to prepare for, so Jason provided a van, a truck and a crew. As we came and went, the director treated us as if we were late to remove the garbage. Inside the closed library, there were stacks of boxes filled with books, hundreds of them, and an assembly line of librarians at computers processed the books out of the library’s database. While the park workers were filling the park district van, I learned that the rental truck out front had been hired by the director and was already full of books, her intention being to haul the stuff away. The head maintenance worker from the park district negotiated with his opposite number on the library staff to let the library truck go to the Great Neck House parking lot instead of out of town. It was unbelievably tense. In the end, ours was the shorter distance. At Great Neck House, the park district crew set up tables and brought in the first 117 cartons. They stacked cartons three and four high, 60 in two rows behind the tables as a few of us put books out. Cartons filled the cloakroom and lined the handicap ramp. The Book Give-away was on the park district website, the newspapers sent reporters and the books drew volunteers who offered ideas: fiction and nonfiction separate; a special area for authors of many titles; someone to fetch bags daily from the supermarket; and paperback fiction, computer books, college advisories, short stories, large type and foreign language books set apart. 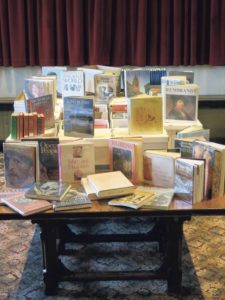 All day every day, during Great Neck House’s long hours, as books departed we put a fresh supply on the tables. Jason came to Great Neck House the first day and stood with me eyeing the inundation of books. His expertise is parks and recreation, so the quantity came as a visual shock. “What if no one comes for the books,” he wondered. In the end, residents of Great Neck took home 15,000 books. They browsed, researched titles on their phones and found favorite authors. 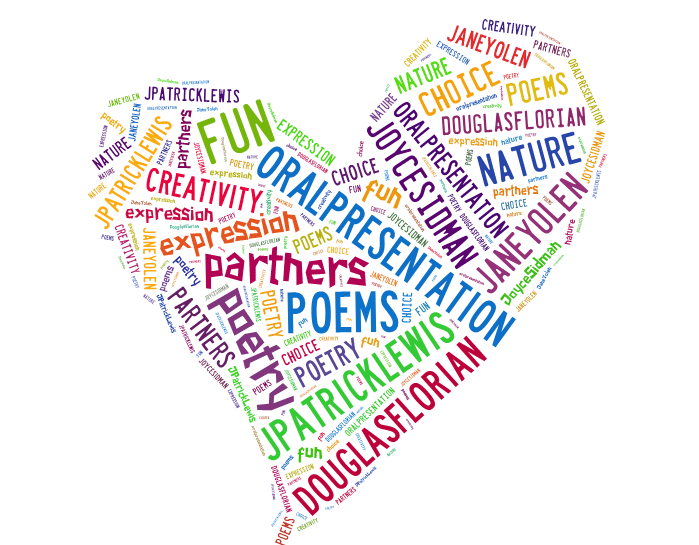 I tried to make a record of the significant subjects and renowned authors, but, when I typed my notes, scribbled in between tending the books, I saw that the lists were both stunning and incomplete. For months, I was able to give the books to the community that paid for them. I also put some books in hiding, and I can begin to return them to the library because Denise Corcoran, the current but departing library director, is the new management I was waiting for. The first group, about 400 legacy books and large art books, appears in that photograph of the three of us at Great Neck House, Jason and Denise and I. The list of those 400 books is 20 pages. Next will come as many as 2,000, mostly children’s books, which I hope have survived being hidden in less-than-ideal circumstances. I had clandestine help, of course, during our library’s dark age. Of 208,000 books wiped from the system, 15,000+ went to private homes from Great Neck House and 2,500 will return to the library. After my asking for a year and a half, the library board has agreed to allow the formation of a committee, but they are still squeamish about their past so they are calling it the Book Suggestion Committee. I think of it as the committee of truth and reconciliation. 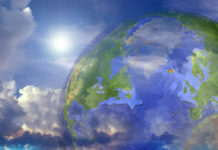 I hope to chair it, and I hope others will offer their energy and expertise. Chinua Achebe, Sidney Alexander, Kingsley Amis, Maya Angelou, Hannah Arendt, Sholom Asch, James Baldwin, Honoré de Balzac, Djuna Barnes, David Belasco, Saul Bellow, R.D. Blackmore, Ray Bradbury, Emily and Charlotte Brontë, Alice Brown, Martin Buber, Pearl Buck, Niven Busch, Truman Capote, Michael Chabon, Anton Chekov, Colette, John Creasey, Lionel Davidson, Annie Dillard, James Fenimore Cooper, Julio Cortezar, A.J. Cronin, Oriana Fallaci, William Faulkner, Henry Fielding, F. Scott Fitzgerald, Dario Fo, E.M. Forster, Friedrich Froebel, John Gardner, Jean Genet, Charlotte Perkins Gilman, Allen Ginsberg, Rumer Godden, Maxim Gorky, Zane Grey, John Grisham, Günther Grass, Edward Everett Hale, Thomas Hardy, Heinrich Heine, Ernest Hemingway, Hermann Hesse, W. D. Howells, Victor Hugo, Aldous Huxley, Christopher Isherwood, Sarah Orne Jewett, R. Prawer Jhabvala, Franz Kafka, Nikos Kazantzakes, Garrison Keillor, Jack Kerouac, Imre Kertész, Rudyard Kipling, Jerzy Kozinski, Anatoly Kuznetsov, John Maynard Keynes, Milan Kundera, Par Lägerkvist, Selma Lagerlöf, Pierre La Mure, D. H. Lawrence, Halldor Laxness, Doris Lessing, Sinclair Lewis, Anita Loos, Jack London, Norman Mailer, Bernard Malamud, Andre Malraux, Katherine Mansfield, John Marquand, W. Somerset Maugham, Guy de Maupassant, Armistead Maupin, Carson McCullers, Margaret Mead, A.A. Milne, Vladimir Nabokov, V. S. Naipaul, Reinhold Niebuhr, Anaïs Nin, Kwame Nkrumah, Cees Nooteboom, Joyce Carol Oates, John O’Hara, Baroness Emma Orczy, Amos Oz, Luigi Pirandello, J. B. Priestley, Marcel Proust, Marjorie Kinnan Rawlings, Cecil Roth, Bertrand Russell, Albert Schweitzer, Dai Sijie, Upton Sinclair, Isaac Bashevis Singer, Wallace Stegner, Stendhal, August Strindberg, Amy Tan, Colm Tóibín, Leo Tolstoy, Ann Tyler, John Updike, Jules Verne, Evelyn Waugh, P.G. Wodehouse. The volumes that were carried out of the Great Neck Library and thrown in a dumpster the week of Nov. 7 are considered reference material, but they were mostly bound volumes of periodicals. Taxes paid for the yearlong, year-after year purchase of those periodicals and paid to bind groups of them together. And then the library threw them away. Residents have since recommended a range of recipients, including senior centers, hospitals, poor communities and graduate programs. Residents thought the volumes could have had a second life as theatrical props and real estate props for selling homes. You name it, all outcomes are an improvement on a final resting place in a dumpster. The list of periodicals below is taken from the labels that had not yet been removed from the front lip of the shelves on the library mezzanine. We learned that back issues of some of these are not available online. 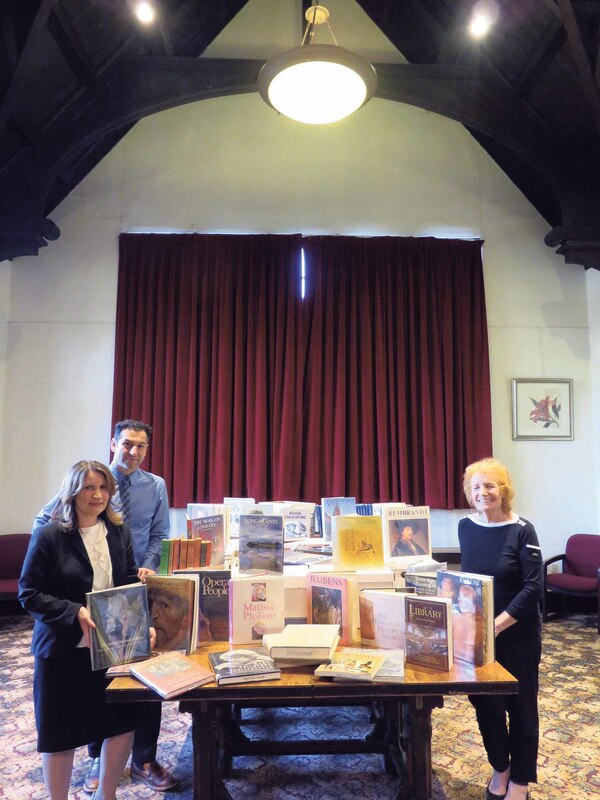 Transparency and accountability – thank you for saving these books!